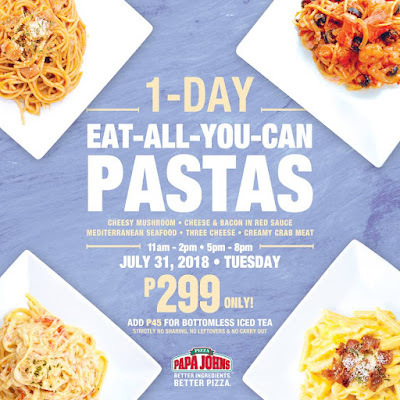 July 31, Tuesday is Papa John's PIZZA & PASTA day! Enjoy Eat-all-you-can PASTAS for only P299. Five of you favorite pastas and a glass of Iced Tea 11am-2pm & 5pm-8pm. 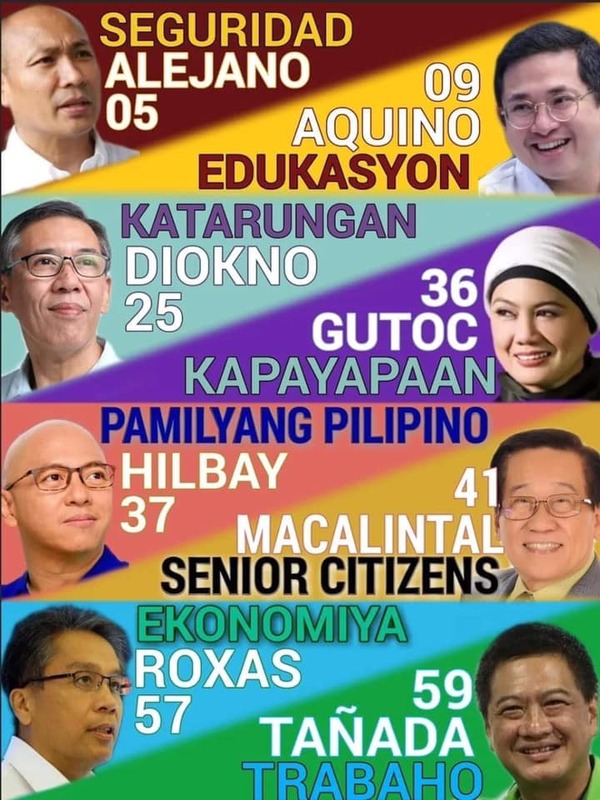 This promo is available on July 31, 2018 only! 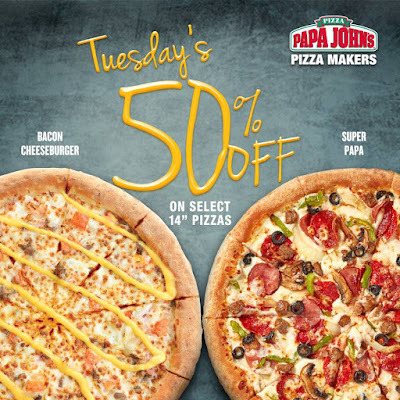 And because it's Tuesday, there's the ongoing Papa John's Tuesday Pizza Craze! 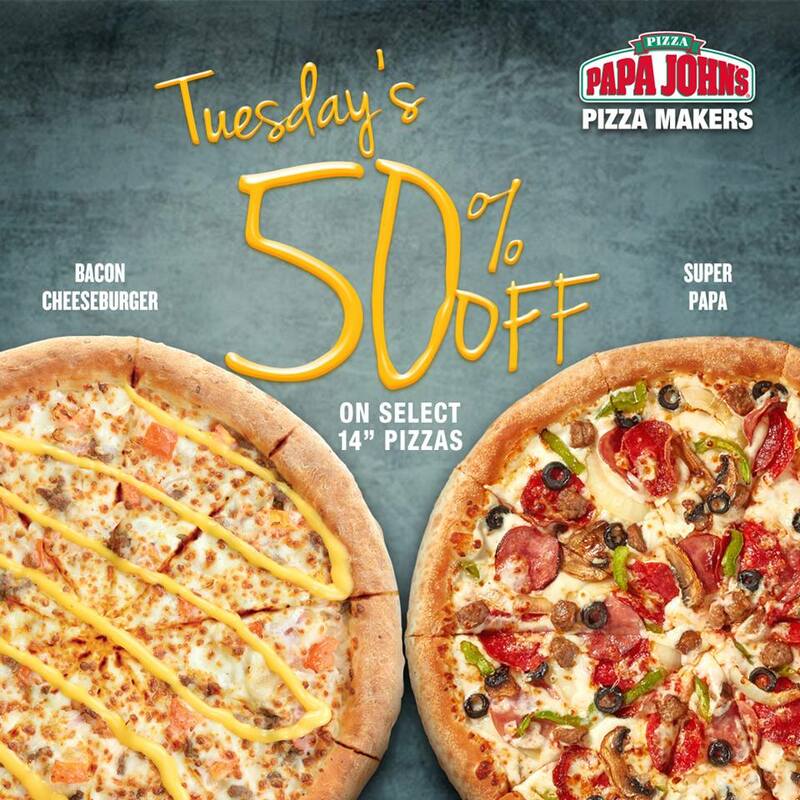 Enjoy 50% OFF on select BETTER pizzas at Papa John's, for as low as P260. Available every Tuesday for dine-in, take-out and delivery via (02) 887-7272.